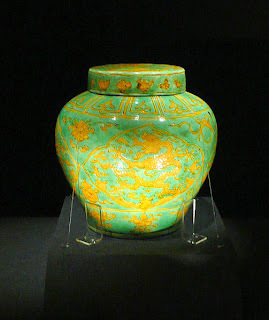 Fine porcelain is often more an item of treasure than of storage. Depending on lineage, provenance, and age, such a piece may be a simple curio or an extremely valuable treasure possibly warranting an entire expedition all on its own. An expert thief can easily identify the less valuable types, but exactly determining the value of the rarer objects requires specialized knowledge. The biggest challenge with such plunder is transporting it out of the dungeon. Highly fragile, these objects become worthless once shattered. Nagas are said to be particularly fond of well-made porcelain. 1. recognising the fine porcelain amongst the dust and rubble of the average dungeon. 2. Preventing the barbarian or thief breaking it to see if there are any treasures inside. 3. Manoeuvring a 2-foot wide fine china pot up from the 5th level of the dungeon, and then through the wilderness to a city where it can be valued and (hopefully) sold.